The cost of bread and bread-related products has crept up over the years, putting a strain on the family grocery budget. Discount bread stores offer lower prices and they're beginning to pop up in the same areas as top grocery stores and delicatessens. You might be surprised by the inventory offered if you visit one. These outlet stores often sell large assortments of fresh breads, pastries, cereals, cookies, crackers, fruit snacks, chips, pretzels, croutons, and more—all for less than you would pay elsewhere. You might typically pass on more expensive breads to keep your grocery bill down when you're shopping at your local market. You might want that delicious-looking pumpernickel but you end up grabbing the least expensive sourdough or white bread instead. You won't have that kind of decision to make at a bakery outlet. Prices are low enough that you should be able to splurge and not only get that pumpernickel but a package of English muffins and a loaf of regular white sandwich bread as well. Treats like glazed doughnuts are often close to half the price you might usually pay, and frozen garlic bread is inexpensive enough that you can buy six and freeze the other five. Overall, you can save up to 60 percent off on the products you choose. If you're under the impression that most products sold at discount bread stores are "leftovers" that have passed their "sell by" dates, one trip will tell you you're wrong. The rules have changed, at least at bakery outlet stores. The products sold in bread chain stores are only sold within freshness guidelines, and if they are close to closing their lifespans within days of purchase, nothing says you can't freeze them to add on a few more days or even weeks. You won't find a trace of mold and products won't crunch if they're not supposed to—promise. Stock can obviously vary from location to location and from store to store, but you'll typically find low-carb breads, cookies, cupcakes, and moon pies. Many stores stock popcorn and Texas toast, and some stock items like mini pound cakes and shortcake dessert shelled. You can usually find sugar-free offerings, meatloaf mix, bagels, condiments, honey graham crackers, and seasoned bread crumbs. Do a search to see if there's a Bakery Outlet store near you, or if one is coming in the near future. 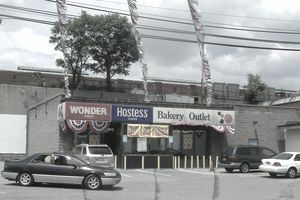 Just visit BakeryOutlets.com and type in your zip code. You can also check the yellow pages or your local phone book to find an discount bread store near you or visit Yellowpages.Superpages.com. The Holsum Bakery Outlet has nine stores found throughout Arizona. Visit their website for store addresses and periodic coupons visit their website. You might also want to check out Bimbo Bakery Outlet stores, Schwebel's Bakery Outlet stores, and Franz Bakery Outlets. And Pepperidge Farm also has some bakery outlet stores.